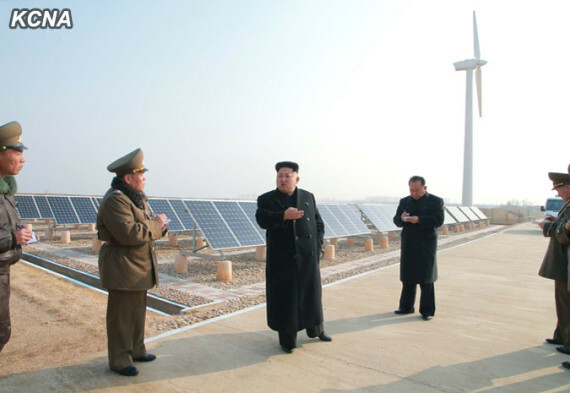 A visit by Kim Jong Un to inspect KPA Air Force Unit 1016 has provided a closer look at a new solar power plant built alongside an existing wind power plant. 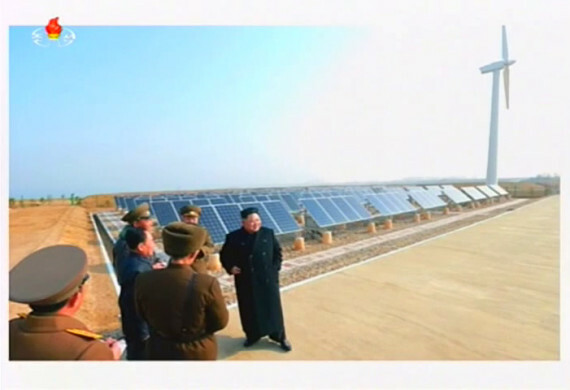 KCNA carried a handful of images of the visited, but more were broadcast by Korean Central TV during its evening news program. 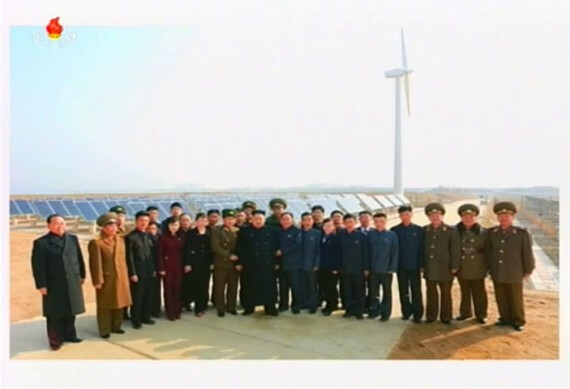 Here’s one of the KCNA images. 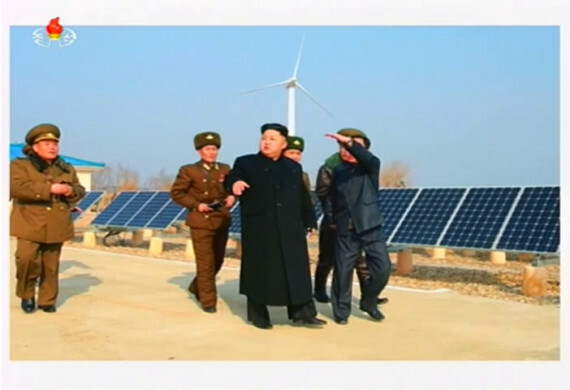 The plant’s location was mapped out by Curtis Melvin on his NKEconWatch blog in 2011, when Kim Jong Il visited. It lies in Kwail County, on the coast south west of Pyongyang. 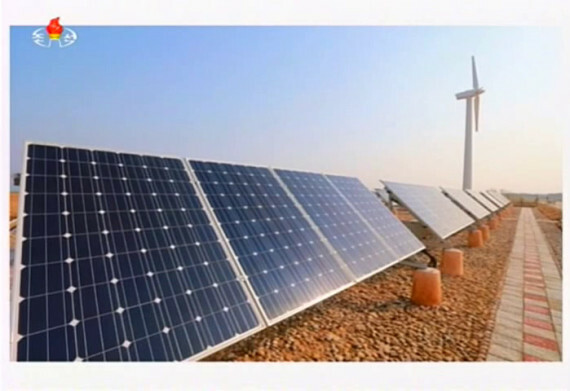 The Google Maps satellite image, which is dated April 22, 2014, shows 3 wind turbines but not the solar arrays. 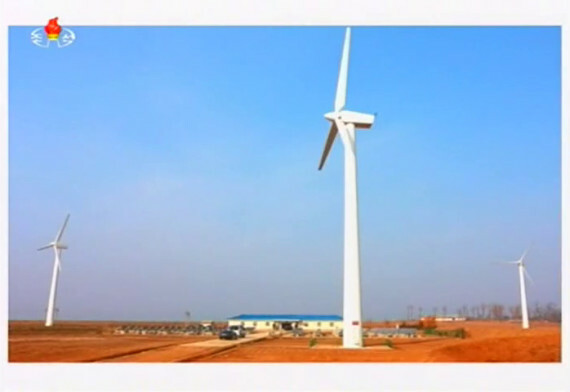 Back in 2011, the official report on his visit said the wind plant was built with help from Kim Chaek University of Technology and didn’t mention solar arrays. 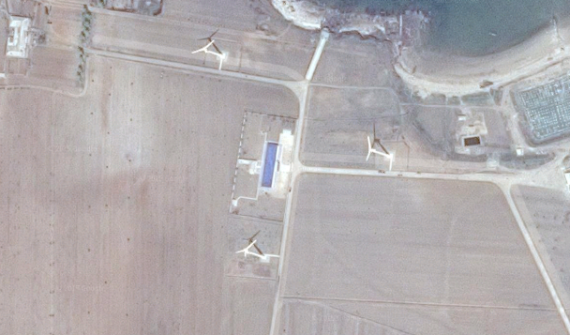 The arrays are likely pointing towards the south, which puts them either side of the road that runs from the right (east) side of the satellite image towards the building. The picture above was likely taken in front of the building and the wind turbine visible is the most easterly of the three pictured. You can see the panels lined up in front of the building in this KCTV image, which is lower quality because it was pulled from an online stream. They are sitting on concrete blocks, either side of the road that approaches the building. Where the power from the turbines and panels go is unclear. There doesn’t appear to be any over-ground distribution cables running from the facility, so it’s difficult to see. 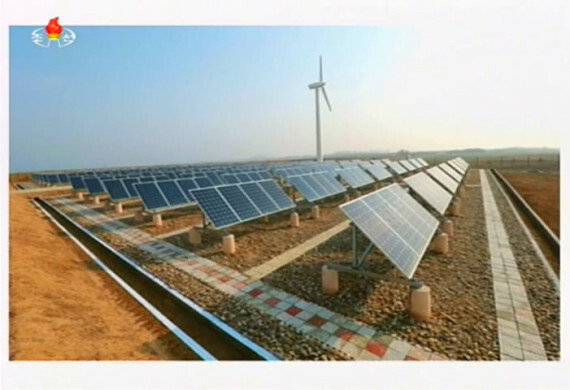 1 Comment on "State media shows off solar and wind power plant"